December 14th is a date that many, many people have been waiting for nearly a decade. 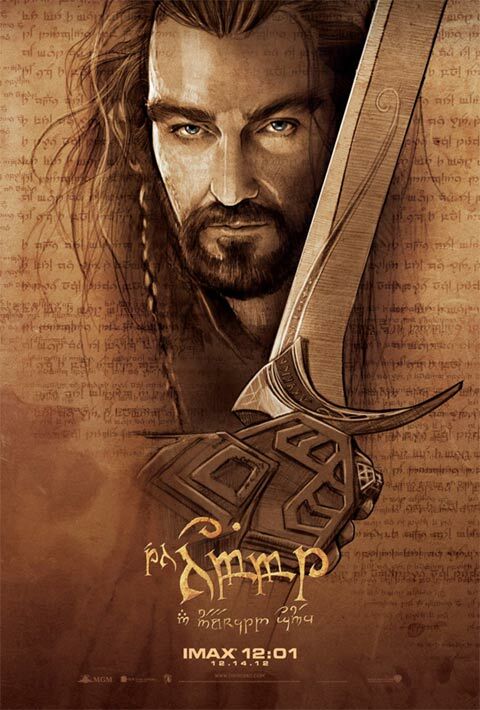 For the first time since the release of The Lord of the Rings: The Return of the King in 2003, theaters all across the world will be playing a new Peter Jackson-directed film set in Middle Earth and based on the work of J.R.R Tolkien - The Hobbit: An Unexpected Journey. It's such an exciting event, in fact, that a great deal of fans won't be able to wait until after work or school that Friday, and will instead see it the very first second they can: at midnight. And they'll be getting a special treat for doing so. 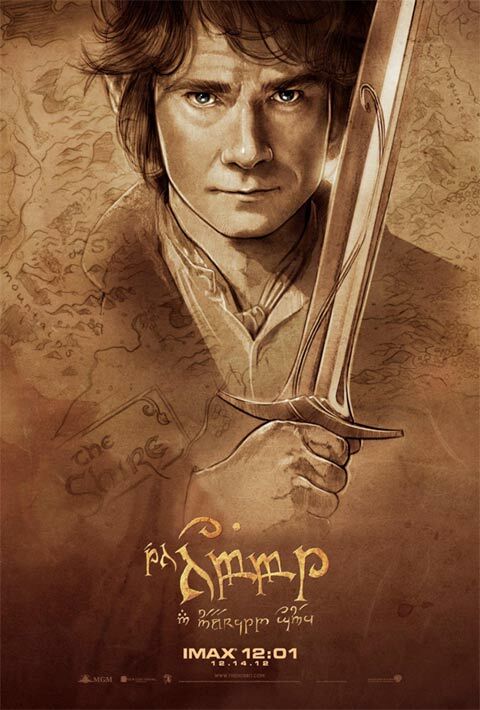 As we've seen multiple times this year - with movies such as Skyfall, Frankenweenie, The Dark Knight Rises, The Amazing Spider-Man, and more - fans who attend the earliest IMAX screenings of The Hobbit will be rewarded by getting some very cool artwork. 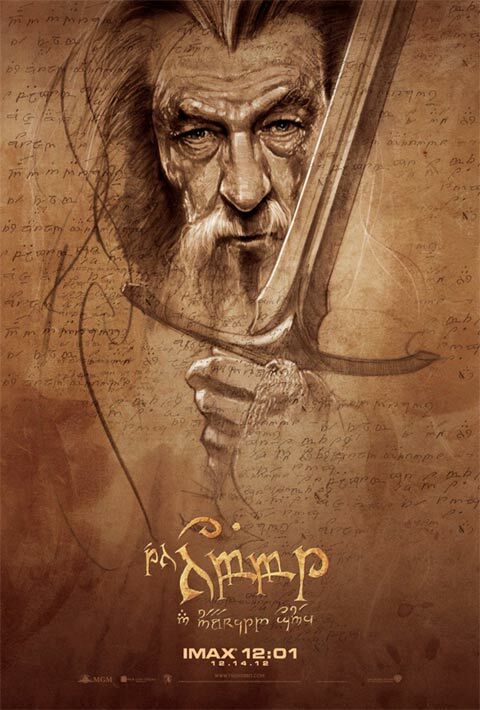 But what separates this event from those other movies is that movie-goers won't be getting just one poster, but a set of four, featuring Bilbo Baggins (Martin Freeman), Gandalf (Sir Ian McKellen), Gollum (Andy Serkis) and Thorin Oakenshield (Richard Armitage). You can check out the pieces below, courtesy of Coming Soon, and head over to the IMAX Website to find a list of theaters participating in the promotion. They will only have a limited number, so you'll want to get to there early! 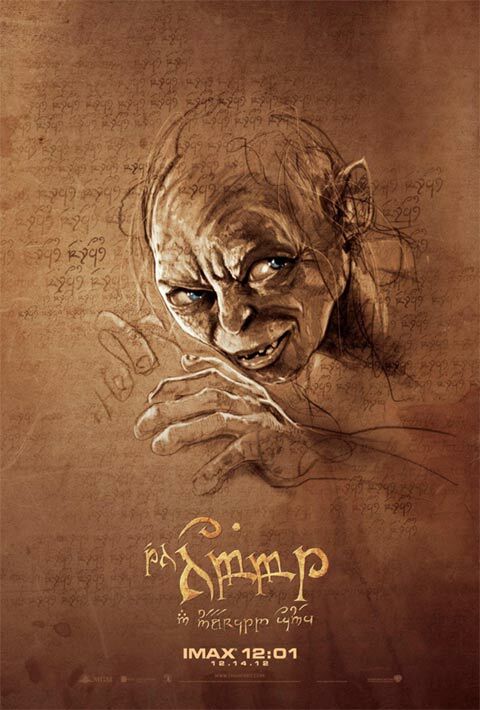 While it's easy to tell what each of the posters say out of context, I'm really hoping that the geekiest among you went to your bookshelves and opened your copy of The Hobbit so that you could translate the runes. I love those people. For more from The Hobbit: An Unexpected Journey, head over to our Blend Film Database.